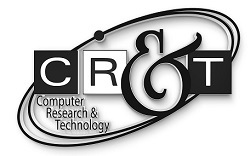 Computer Research & Technology distributes a range of personal and business financial management software and hardware and provides technical support and training services to end-users. The privacy and security of the personal information that we may hold about you is very important to us. This Statement is a requirement of the National Privacy Principles, and should assist you in understanding how we collect and deal with your personal information. Upon purchase or registration by you of any of the software or hardware range or services offered through Computer Research & Technology. Upon registration or renewal of our internet service. Upon the acceptance by you of, or renewal, of our Cable newsletter. There are other less frequent instances where we collect personal information, such as when financial details are sought from persons or businesses who seek to be product resellers, where stock is provided on credit, or where a credit account is requested. The information collected would generally comprise name, address, postal address, telephone, fax and e-mail contact details, as well as the details of the products that you use. High level information in relation to your business may be also be collected. Should you contact us requiring technical or similar assistance, information relating to your problem and our suggested solutions are also recorded by us to assist in better customer relationship management. The main purpose for the collection of personal information is so that we can communicate with you about the products that you use and efficiently manage and administer all products and services we provide to you. These communications could relate to software upgrades, any particular issues or problems that you may have and corrective measures that may be taken or information relating to new products and services. Identification of software end-users assists us in establishing licensing rights. In the case of financial information requested from parties wishing credit terms, this information is used to perform credit referencing and checking. With the exception of the final bullet point above (where the information is disclosed to a credit referencing bureau), there will be no sale or disclosure or your personal details to any third party. You may choose not to receive communications from Computer Research &Technology by emailing a request to us. Should you conduct a transaction with any third party who may be linked to our web site , you should review that organisation’s policy regarding e-commerce transactions and privacy on their site. Computer Research & Technology is not responsible for product and service transactions that are consummated at third party web sites. The crt.net.au web site uses “cookie” technology solely for RSS feed preference. No other information is stored. Computer Research &Technology does not specifically collect online contact information from children, nor do we target or sell products specifically for children. We encourage parents to talk to your children about safe and responsible use of their Personal Information while using the Internet. An electronic customer management and database system is used to store most of the personal information. This system is accessed only by authorised users and contains security features to ensure the protection and integrity of the data that we hold. We take strong precautions to insure the safety of your information. Should you have any queries in relation to this Privacy Information Management Statement or to issues generally surrounding the private information that we hold about you, please contact the Privacy Officer at the addresses referred to above. Similarly, any complaints in relation to privacy related issues should also be directed to either of these addresses. From time to time, this statement may be amended. An up-to-date version of the Privacy Statement will always appear at our website.